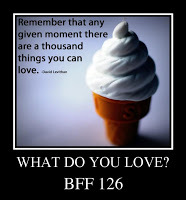 BFF 126 What Do I Love? Sorry! I couldn’t help myself! 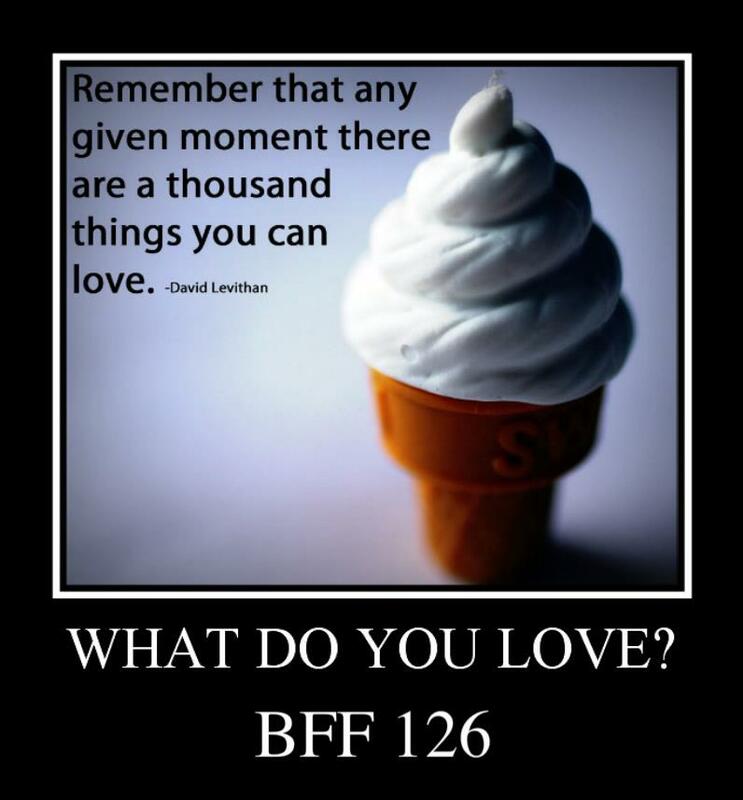 As soon as I read the topic for BFF 126, this song automatically popped into my head! I’m not kidding! Seriously! Ok, now that I have that out of the way, what do I love? Second, I love my family, mom, dad, Sonny Boy and Bubba (my secret nicknames for my brother and his wife…please don’t tell them though! ), Ann & Gail, Daniel & Deborah and the rest of what is left of my extended family. Third, well I would have to say that would be my dearest friends of which I can probably count on one hand. Shelli, Angie, Liz, Debbie and Rona. That’s five and all on one hand. I have other friends, but these five I know I can always count on for anything. Love you guys! Music – Couldn’t live without it…it’s in my soul. Chocolate – I wouldn’t be able to survive with out it. Baking – I’m so happy it’s Fall again. I can start whipping up all those delicious treats! 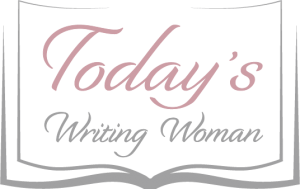 Writing – I think I finally found what I have been looking for…and it has been staring at me all along! My new Writing Buddies – You guys rock! Reading – I can never get enough books. Ocean/Beach – And if I am able to camp at the beach near the ocean…I’m in heaven! The smell of the outdoors after a good rain shower. A fire on a cold winter’s night. The invention of the DVD player and some other fun electronic gadgets! I swear someone was thinking of me and my love to watch things over and over and over and over and over…well, I think you get the picture! The crunching sound of the snow as you walk through the woods. Rainbows, and if I’m really lucky, a Double Rainbow! My fluffy pillow and a snuggly quilt that I cocoon up in every night. Peace and contentment – I finally found it and I am truly happy. This list could go on for awhile, so I will end it here, but want to say one more thing. I rarely, if at all, talk about this, but I do love the Big Man Upstairs. He’s been there for me in good times and bad, and always, Always, helps me find my way.